Today’s enterprise applications must meet an “always on” standard, and be scalable and reliable enough to meet a business’ needs. In response, GlobalSCAPE, Inc. (NYSE MKT: GSB), a pioneer and worldwide leader in the secure and reliable exchange of business information, has joined F5 Networks’ Technology Alliance Program (TAP) to offer an interoperable solution with Enhanced File TransferTM (EFTTM) with High Availability and F5 BIG-IP® Local Traffic Manager™ (LTM®). In jointly deploying the companies’ products, customers will have horizontal scalability, reduced system downtime and enhanced network reliability, when compared with other file transfer platforms. EFT Enterprise with High Availability by Globalscape allows users to manage and control spikes in network traffic or data, so that there is no disruption of service or mission critical processes. EFT Enterprise with High Availability now integrates with the F5 BIG-IP LTM for an easy to implement and use solution that can be deployed across large and complex customer environments. Application traffic management is integral to delivering scalability, business continuity, and efficiency in a highly available hybrid cloud or on-premises infrastructure. Through the TAP partnership, Globalscape promotes interoperability with F5, and provides a framework for ongoing collaboration. 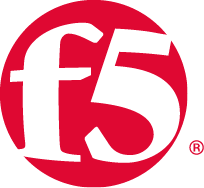 F5, BIG-IP, Local Traffic Manager, and LTM are trademarks or service marks of F5 Networks, Inc., in the U.S. and other countries. All other trademarks are property of their respective owners. The use of the words “partner,” “partnership,” or “joint” does not imply a legal partnership relationship between F5 Networks and any other company.